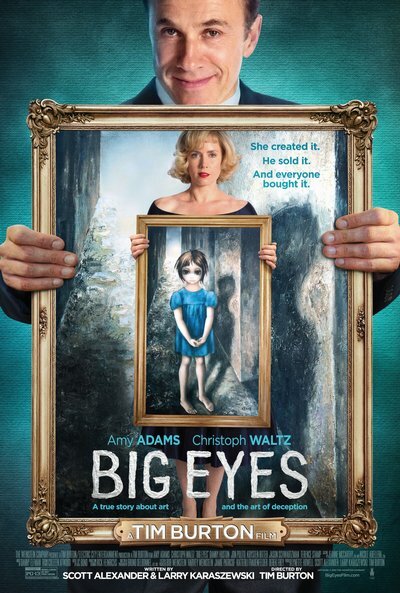 Story: Big Eyes is based on the true story of Walter Keane (Christoph Waltz), who was one of the most successful painters of the 1950s and early 1960s. The artist earned staggering notoriety by revolutionising the commercialisation and accessibility of popular art with his enigmatic paintings of waifs with big eyes. The truth would eventually be discovered though: Keane's art was actually not created by him at all, but by his wife, Margaret (Amy Adams). The Keanes, it seemed, had been living a lie that had grown to gigantic proportions. "Big Eyes" centres on Margaret's awakening as an artist, the phenomenal success of her paintings, and her tumultuous relationship with her husband, who was catapulted to international fame while taking credit for her work.